Whether your a mom, college student or single, keeping things in order can feel impossible. But did you realize keeping a little order in your life could actually save you money? Now your listening, right? Got 5 minutes to spare today? Well organize a section of your closet for $5 or less. 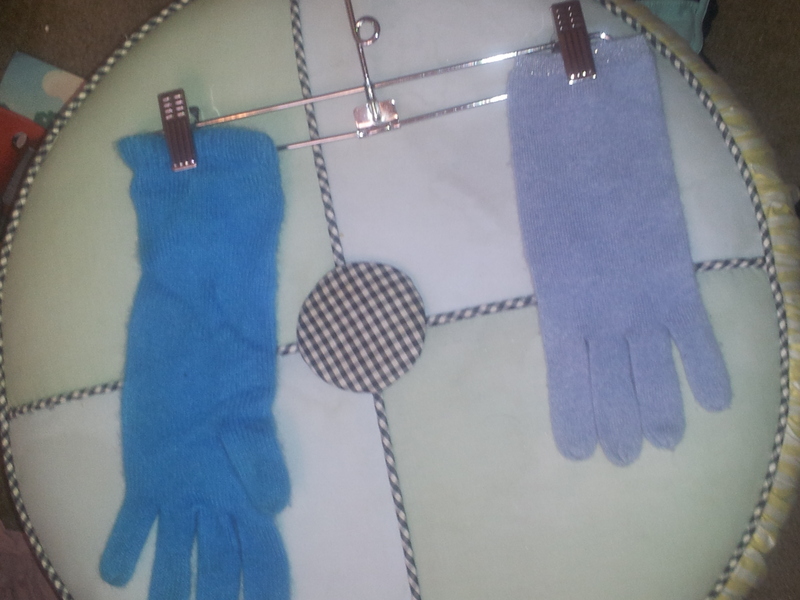 I have tried putting my scarves in a drawer with my gloves, but I always end up loosing one. 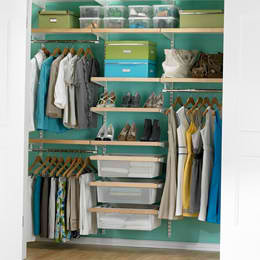 I would love to have my closet to look super neat like the photo below, but I just can’t afford the Elfa especially with the holidays coming up. What to do? Wait or organize and save money? 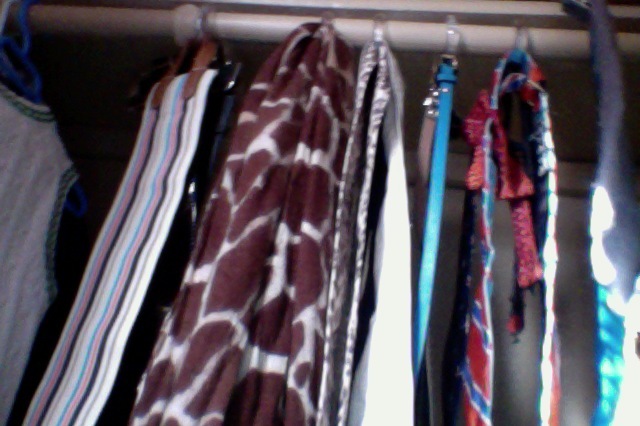 I learned that using shower curtain rings to organize your closets accessories can save you a lot of money. Why hang your belts, scarves, purses and gloves? 2. Don’t buy items you can recreate yourself- The Container has a tie rack which can also hold scarves..But I can only store 5 scarves total for $30. The curtain rings above can store 3-6 items PER ring. Money Saving Tip -Try your local Ross or Big Lots stores for clearance rings and hooks. I found my basic shower rings for $5. Not sure what to do with gloves or items that can’t be hung? Use pant hangers already in your closet to hang gloves and hats. You can also see what you are missing.